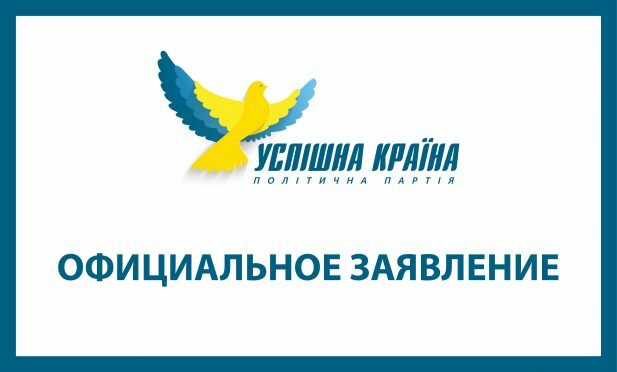 Statement of Oleksandr Klimenko, the honorary leader of the "Uspishna kraina" party, concerning the situation in Vinnytsia ⋆ News ⋆ Official website for Oleksandr Klymenko. Do you want fair taxation in the country and development of all business? Would you like to honestly pay taxes, which are commensurable with your income? Would you like not to hide from tax inspection? Do you want to get more workplaces and decent salary? 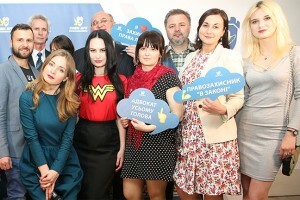 The team of the “Uspishna Kraina” would like to. As well as millions of Ukrainian entrepreneurs. That is why, we are working out a new Tax Code (not in offices, but during the close dialogue with entrepreneurs). We came out to the markets, including Vinnytsia. Our activists went through the city and talked to thousands of entrepreneurs and leaseholders in order to take all opinions into account and discuss new rules and ideas with them during the Forum of entrepreneurs, which should have been carried out on August 17 in Vinnytsia. However, an opportunity to hear the voice of citizens frightened authorities. Thus, it incited radicals to citizens. Our volunteers were attacked. The management of the department store in Vinnytsia, where it was planned to hold the Forum, was threatened and demanded to refuse from providing us with premises. Our activists and entrepreneurs, who wanted to participate in the Forum, were intimidated and published their personal data. Public officials called on extremists to use force. At the same time, radical extremists do not hide their agreements with the Security Service of Ukraine and the police. We clearly see the situation. We can observe the way the cowardly government puts pressure on owners of premises. We can see inaction of so-called law enforcement agencies and intimidation of citizens by scumbags. We decided to postpone the Forum. Neither because of fear for ourselves nor for our ideas. Safety of people and safety of Vinnytsia residents are extremely important for us. Mr. Groisman, Mr. Lutsenko, Mr. Poroshenko, is it important for you? Have you forgot appearance how do people in the streets look like? If you visit any market in Vinnytsia (as we did), perhaps, you would also like to scatter it. People in Vinnytsia, as well as in other cities, cannot bear the expense of utility services with high rates. They are worried about exorbitant taxes. They suffer from a lack of workplaces. It hurts to look, when pensioners are forced to stand with hands outstretched, when youth prefers to search for a better life abroad rather than work in their city and their country. People are tired of injustice and poverty. We can indefinitely ignore, what people say or think. However, they have the right to be heard. They will force you to listen to them. Neither corrupt government, that has turned into a gang of «share-outers», nor radical scumbags, who are ready to kill their fellow citizens, will not stop the most important thing, namely, justice! We are talking to people: the only alternative to chaos and violence – is law and order! It does not come about small machinations (which have lost trust of politicians), but about new strategy, own path and prosperity. It does not come about miserable imitation of struggling against corruption by Prosecutor General’s Office of Ukraine and National Anti-Corruption Bureau of Ukraine, which hides personal interests of clan of Poroshenko, but about strong and effective state institutions. We together with people state: that’s enough! We are with Vinnytsia and its residents, who want to live, not to survive. The team of the @Uspishna Kraina loves you, Vinnytsia!